When you’re looking for significant performance capabilities, lots of passenger space, and plenty of safety, comfort, and entertainment, the 2016 Chevrolet Tahoe delivers. 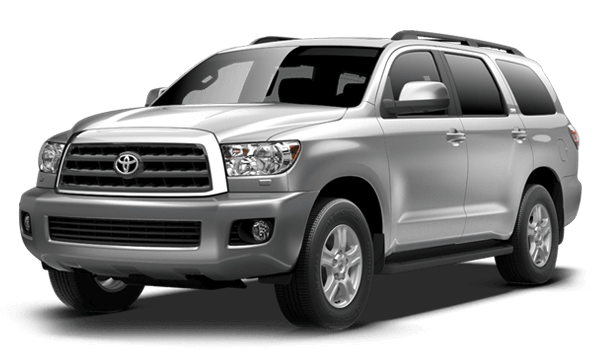 Another model some people might consider, though, is the 2016 Toyota Sequoia. Both of these full-size crossovers can seat a crowd, handle a tow, and traverse the roughest terrain. However, an advanced comparison will show where the 2016 Chevy Tahoe excels. See which model comes out on top in a head-to-head comparison. Make your own judgments by heading from Bloomingdale to Sunrise Chevrolet in Glendale Heights. Both the 2016 Chevrolet Tahoe and the 2016 Toyota Sequoia serve up similar amounts of power, but the Tahoe does it with significantly better fuel efficiency ratings. This model is capable of achieving up to an EPA-estimated 16 mpg in the city and 23 mpg on the highway. No configuration of the 2016 Toyota Sequoia can achieve better than 13 mpg city and 17 mpg highway, according to the EPA. When you need to take a trailer or tug a boat along with you, the 2016 Toyota Tahoe has the ability to carry more. This SUV has a towing capacity ranging from 8400 pounds to 8600 pounds. Toyota’s SUV has a lower towing capacity, with a range from 7100 pounds to 7400 pounds. Having to take a second vehicle is a major hassle. The 2016 Chevrolet Tahoe gives you room for one more person inside. 2016 Chevy Tahoe Interior: Maximum occupancy tops out at nine in the LS trim. 2016 Toyota Sequoia Interior: Maximum occupancy tops out at eight in all trims. 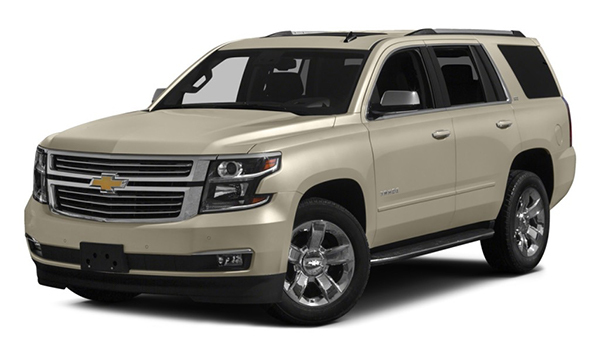 The 2016 Chevrolet Tahoe isn’t just notable for its size and performance. It also comes equipped standard with a list of features that rivals most luxury vehicles and outclasses the Sequoia. The nine-passenger LS trim comes with rear parking sensors to help you back up, remote ignition so you can heat or cool from a distance, and a four-way power-adjustable front passenger seat. Plus, the Tahoe is offered with the advanced OnStar telematics system, which improves safety, aids in navigation, and serves as a 4G LTE Wi-Fi connection. The Sequoia has all of the features you would expect, but none to really be excited about. All the features mentioned above are absent from the introductory SR5 model, and there’s no version of the Sequoia that comes with a 4G LTE Wi-Fi hotspot. The 2016 Chevrolet Tahoe is available with more smart safety measures to help you prevent accidents: Various trim levels on the Tahoe are available with lane-departure intervention, rear cross-traffic alert, and a vibrating seat safety alert. The Sequoia isn’t offered with any of these safety features. Find out if this is the all-purpose vehicle you require by visiting Sunrise Chevrolet, located at 414 E. North Ave in Glendale Heights, IL. It takes just 10 minutes to get here from Bloomingdale if you take Glen Ellyn Road south until you reach the Brunswick Zone location. Contact us to speak directly with a Chevrolet expert.